There’s nothing fun about sore feet. Particularly when you’re working hard, you need men’s and women’s boots that keep up with you and help you perform the best. It’s important to remember that comfort isn’t just about finding the right work footwear for you; it’s about finding the right pair for the specific job you do as well. If you’re walking about on uneven terrain in outdoor environments, for example, you want boots with heavier rubber outsoles, stronger shanks (but keep them flexible, like nylon), and plenty of tall ankle support. These features aren’t necessary for someone who works inside while walking or standing on concrete all day long – where softer, lightweight soles with are preferred. Having the right outsoles for the job you’re doing is important to the longevity of the work boots, but when it comes to comfort, the insoles and midsoles in the design are your focus. Just like how a suspension in a truck absorbs the shock from the bumps in the road to make a smoother ride, insoles and midsoles absorb the shock inflicted on your feet throughout the day. This shock can affect your ankles, knees, hips, and lower back as well. The insole is your support system; it takes a lot of friction during the day as it’s the part of the work boots that come in contact with your foot. Removable insoles can be replaced when your work footwear begins to break down and feel less comfortable, or if you have specific orthotic needs. The midsoles aren’t removable and sit beneath the insoles between them and the outsoles. A well cushioned midsole, like EVA foam, absorbs the shock from walking on hard surfaces, but you want a balance of support and cushion if you’re working on uneven terrain. 5. 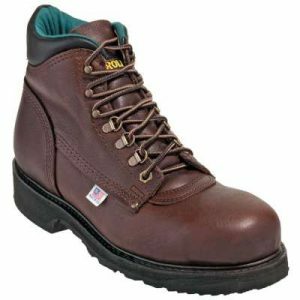 For working indoors on concrete surfaces, we really like the lightweight Timberland Pro Titan boots, like these 24097 Brown 6 Inch soft toe boots. These are a best seller for a reason! The lightweight, shock-absorbing insoles, midsoles, and outsoles are incredibly comfortable. The mesh lining is breathable, and the six-inch lace-up design with speed laces at the top offer plenty of ankle support. Timberland hit a home run in the comfort division with the TiTAN series of footwear, also available in safety toe, women’s styles, and other designs from hikers to met guards. 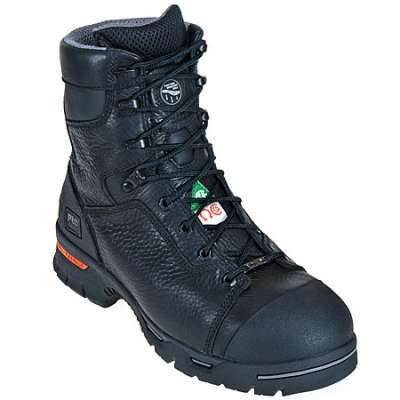 If you want lightweight comfort, you have to give these Timberland Pro boots a try! 4. When your work circumstances demand a lot of walking and unpredictable outdoor conditions, a line of footwear that stands out above the rest for hikers, landscapers, construction workers, and others is the Danner Hiker Series. Hiking boots are designed for plenty of movement, traction control, and ankle support. 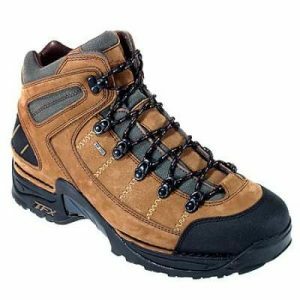 Despite the “hiker” name, these designs are excellent for many different work styles and available in everything from waterproof to steel toes. Danner has always provided high-quality work boots worth every bit of their price. 3. For up-for-anything, indoor/outdoor all-purpose boots, Carolina has our vote with the USA-Made 1309 Steel Toe Work Boot and the same 6-inch boot without the safety toe. The midsoles and rubber outsoles of these men’s boots are strong enough to withstand a lot of tough jobs – like construction or farming, yet the shock absorbing midsoles offer the perfect balance of softness and support. The high-quality leather uppers shape to your feet as the Carolina footwear breaks in for a custom fit. 2. 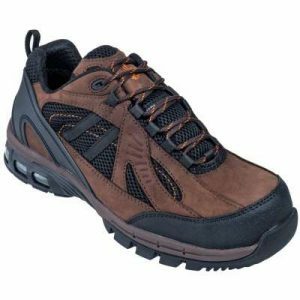 Everyone loves a good pair of athletic shoes, but many work environments require safety toe shoes. 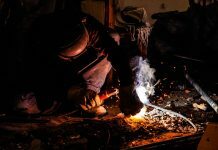 You can have the best of both worlds with a variety of steel toe tennis shoes available on WorkingPerson.com. From leisure brands like Puma and Keen to workforce brands like Timberland and Wolverine, you have plenty of options for athletic comfort and safety toe protection. One such pair we really like is the Nautilus N1700 Composite Toe EH shoes. Nautilus is a brand that has been around for a long time and has found the sweet spot of affordable quality. You can trust that you’ll be receiving quality work shoes with breathable mesh linings and solid, slip-resistant outsoles, as well as supportive but flexible shanks and removable insoles. This pair of versatile shoes knows how to work but look like they’re ready to play, in case you meet up with friends after your shift and don’t have time to change. 1. Finally, we’ve talked to many of our customers who are die-hard Thorogood fans. 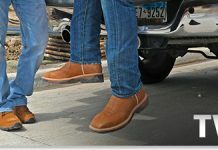 An elite brand of high-quality and often American-made boots, customers who swear by the brand will tell you they’re unrivaled in terms of comfort. 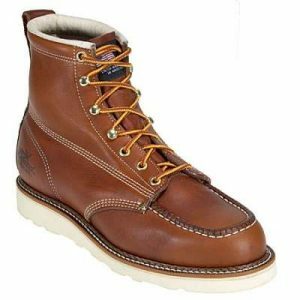 Thorogood has many military grade options, but the most popular of their civilian class work boots is the American Heritage 6-Inch Wedge. The handsome moc toe design fits well, and the wedge heel is foot support at its finest. It’s important to note that wedge heels aren’t recommended for people who climb ladders, as there’s no angle to help catch the arch and slipping is easier to do. If that isn’t a problem for you, try these USA-made boots and be prepared to join the club. This particular style is all-purpose, as it has something to offer any working environment. 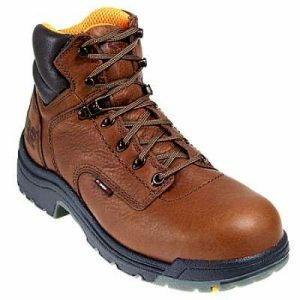 However, be sure to check out all of the Thorogood boot options for more job-specific styles of top-quality real leather boots that are sure to last so long they’ll be more like a sidekick than footwear. All in all, comfort has a different meaning to every person, and footwear should be chosen based on the job you’re doing. 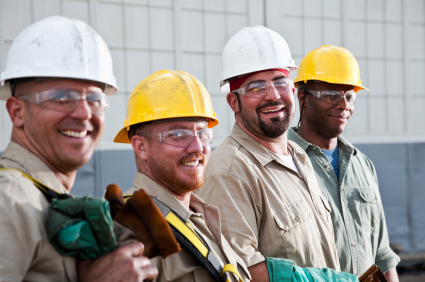 Trust us, there’s a pair of work boots for every job and comfort for every person at WorkingPerson.com. Check out our other blog posts for more advice on job-specific options or contact us – we’re happy to help you find just what you need!